An introduction to the morphology, physiology, and evolutionary relationships among invertebrate and vertebrate animals. Laboratory includes a survey of animal diversity, histology, and anatomy. Life history, ecology, taxonomy, and conservation of reptiles and amphibians. 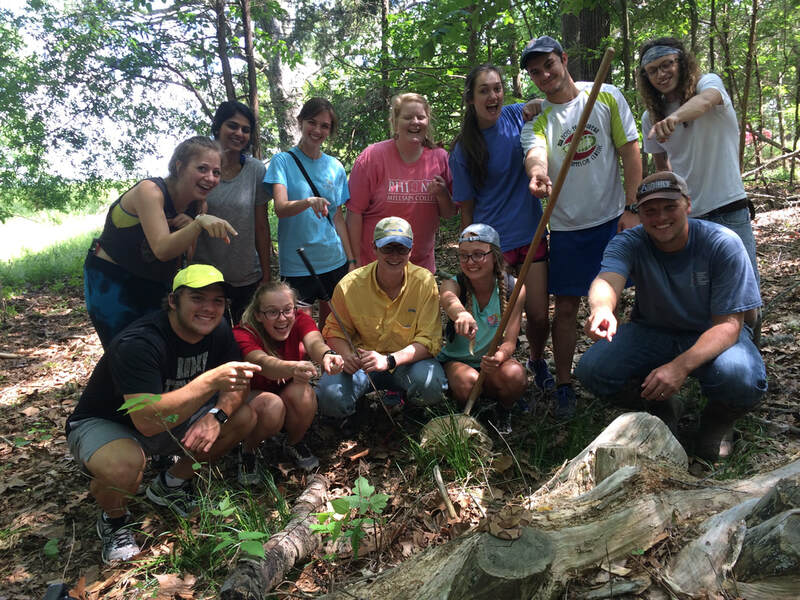 Lab and field trips emphasize study techniques and the identification of herpetofauna in Mississippi and the southeastern United States. Evolution, form and function, behavior, life history, ecology, and conservation of birds. Techniques for the study of birds will be taught in laboratory and field settings. An in-depth study of vertebrate zoology with focus on vertebrate ecology, behavior, morphology, life history, and physiology. Lab and field trips will emphasize sampling techniques and the identification of local vertebrate species in Mississippi and the southeastern United States. Physical and ecological processes of freshwater and estuarine wetlands. Emphasis is on natural wetlands, wetland plants and wildlife, and conservation, restoration, and management of wetlands; includes laboratory with outdoor field trips. For Millsaps students, more information is available at the Millsaps Course Connect website. Spring 2017 Herpetology Class admiring a Copperhead on a local field trip.